Life’s big celebrations: the bridal couple’s rehearsal dinner, parents-to-be, the anniversary couple, or the birthday guy or gal. We all hope to have a chance to celebrate or be celebrated, and there’s an art to hosting an awesome party. There are many things we love about Red Clover parties. Carol and her dedicated staff at the Red Clover Inn & Restaurant make it elegant and fun, with custom menus and a private, festive event space. It’s gorgeous and the ambience is perfect. Here are some of our favorite things. Our incredible function space, the Tavern room, makes parties and showers at the Red Clover special. Unique seating options include couches by the hearth, antique farm tables, and a tucked away bar. One of the state’s oldest apple trees, of the Red Pippin variety, holds court outside the back window. With wide plank barn board floors, a vaulted post-and-beam ceiling, and rural Vermont antiques, the room is the perfect setting for a relaxed and intimate party. Part of having family celebrations at the Red Clover is our promise of a “total inn takeover” for your party space. No matter what you are celebrating, we invite you to deck the halls as you wish, just as you would in the living room of the house of your dreams. Bring in the streamers and displays, borrow our chalkboards. 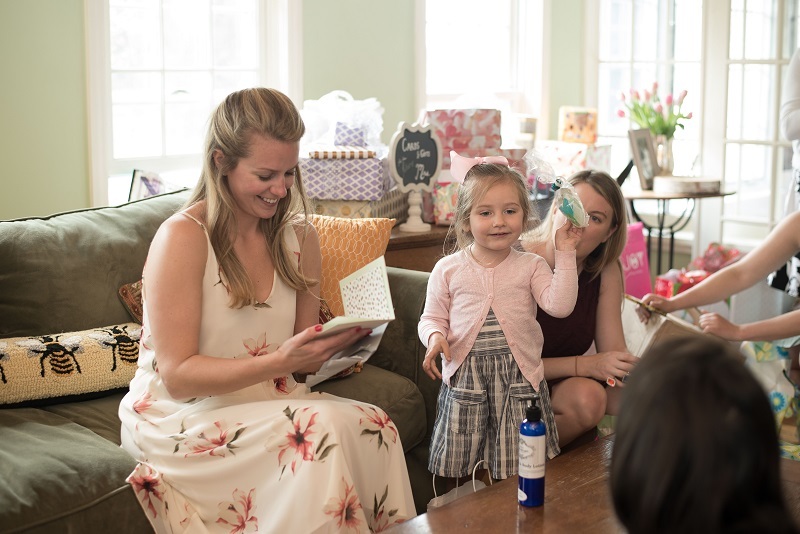 Open presents, play games, and if you want to let Aunt Sally bring in the diaper cake, hey, we’re all for it. Seriously though… it could be anything. 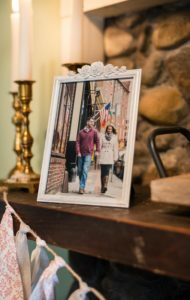 We really love it when people use family photos like baby pictures or engagement pictures (like this sweet couple’s city walk pic on the mantel of our classic Vermont farmhouse fireplace) to dress up the room and make it your own. One time we had a bridal shower that had the guests explore the property on a scavenger hunt! We’ve hosted afternoon tea parties, light luncheons, cocktail parties with custom drinks named after the couple… your dream, come true. 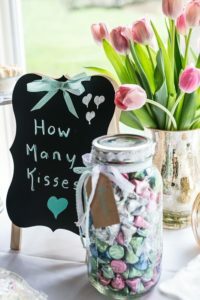 How many kisses are in the jar? It’s up to you! Every Red Clover shower or party comes with our no-worry guarantee. And as the day closes, whether or not you’re staying the night on-site in our B & B accommodations, you’ll continue to enjoy every last minute because you’ve left the cleanup to us. That might be the best deal of all!